Stylish wool/acrylic mix toque with bold knitted Arc'teryx word logo. •Polartec® Power Stretch® with Hardface® Technology—88% poylester, 12% spandex, 230 g/m². A four-way stretch fabric that allows for excellent athletic movement and good breathability to maintain comfort. Some products feature Hardface® Technology for a higher level of abrasion resistance. 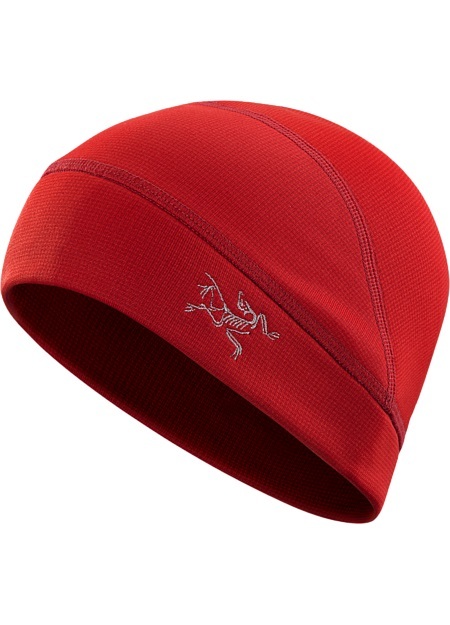 WINDSTOPPER® fleece beanie crafted for ski alpinism, ice and alpine climbing. Features include air and sound permeable side panels, sunglass arm slots and a pass through for ponytails. A warm, windproof beanie thoughtfully designed for the demands of climbing and ski alpinism, the Procline is also versatile enough for a range of winter mountain sports. The warm P50k WINDSTOPPER® fleece resists rain and snow and shuts out the wind, and Vistrasari™ side panels are air permeable to prevent overheating and speed moisture transfer. Smart features include sound permeable side panels, slots for sunglass arms, a ponytail pass through and a streamlined fit that layers easily under a helmet. Hunter style ear flap hat in weather resistant, insulated hardfleece. Character piece that is warm and functional. Ear flaps stay in position up or down; brim is soft foam that can be folded up under helmet. Laminate finishing adds clean, refined look to edge that contours ears and back of the neck. Hardfleece fabric resists wind, weather and moisture. Insulation is high loft comfort. Technical take on tradition. Full face balaclava with a unique ergonomic design that fits comfortably over the head, with a face opening that fits over the nose during cold weather endeavours. Stretchy fabric construction allows for easy adjustment to the neck gaiter or simply to tuck it under the chin. Added length in the front layers easily and sits flat under a collar. Stylish men’s urban hat for daily adventures featuring an embroidered bird logo and a pliable, laminated brim. The seams are all taped for a clean finish. 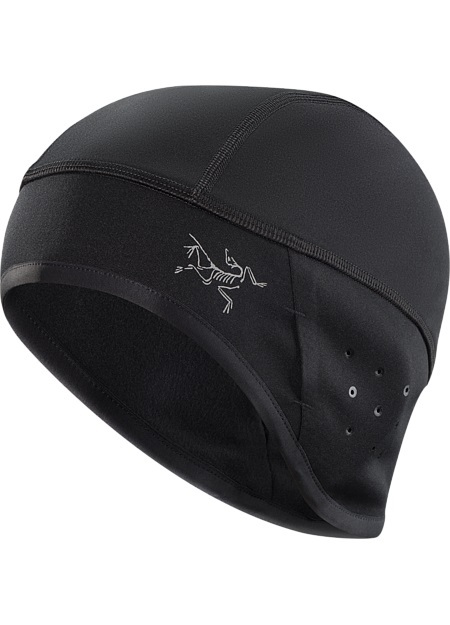 Lightweight, moisture-wicking, quick-drying running cap with soft, pliable brim for easy storage. 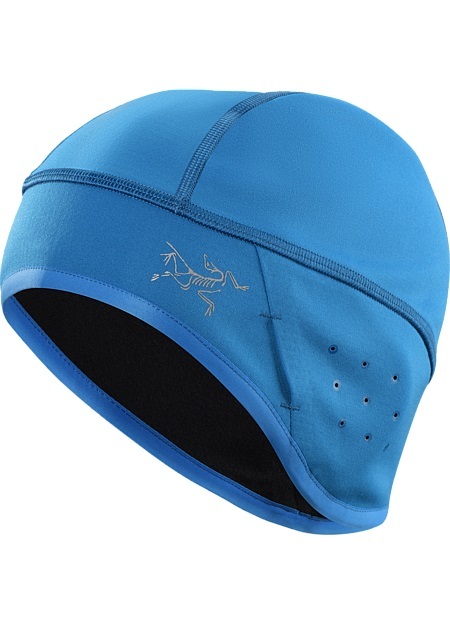 The ideal companion for mountain trail runs or hikes, this breathable, fast-drying hat has a pliable, laminated brim so it can be rolled up and stowed easily into a pocket or daypack. This streamlined 'euro-style' cap features flat locked seams for added comfort. The ideal companion for trail runs, this highly breathable, air permeable visor features materials used in our backpack and harness line. The materials used don’t absorb moisture and the brim is soft for compressibility. A reflective bird logo on the brim adds low light visibility.